Over the next few weeks here at ecocity we will be documenting urban projects from around the world that transform redundant railway lines into leisure amenities. Often physical and social barriers in cities, redundant railway viaducts have the potential to bind communities together and create social cohesion in often very difficult neighbourhoods. Also being examined is how exactly the projects develop from conception through to completion; many of which are realized due to the hard work of volunteer community organisations with the courage and conviction to pursue what they passionately believe in. Retrofitting existing cities infrastructure is a strategy widely accepted as one that can deliver low carbon cities quickly and at a low cost. In fact, Retrofitting cities is one of the key components of 'The Future We Want' project that I was introduced to by Bill Becker back in Copenhagen in December '09 at the Culture|Futures conference. Bill is an hugely enthusiastic and inspiring guy with great resolve from the University of Colorado, Denver and is the executive director of Obama's Presidential Climate Action Project. 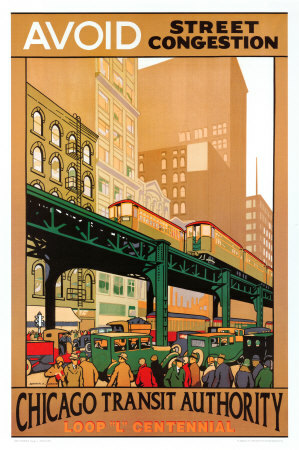 This first installation in the series is from the windy city; Chicago, Illinois. 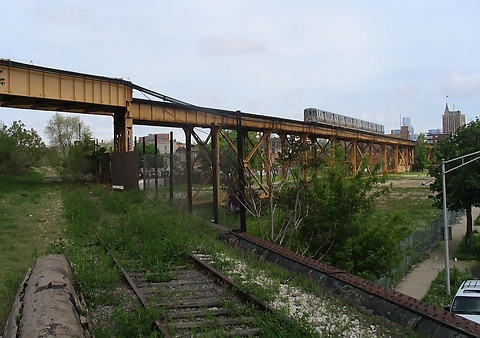 The Bloomingdale railroad viaduct runs through the city’s heart, connecting neighborhoods, the city’s park system, and the Chicago River. 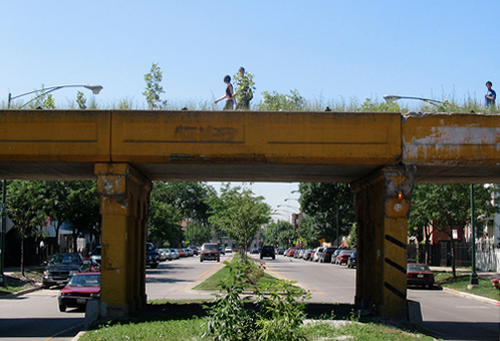 The three-mile long elevated rail line was abandoned in the 1980s and currently sits neglected, overtaken by vegetation, garbage, and debris. It is at once an eyesore as well as a beautiful wilderness set against a dense urban backdrop. Formed in 2003, 'The Friends of the Bloomingdale Trial' has been actively advocating for the conversion of the Bloomingdale rail embankment into an elevated, multi-use, linear park and trail. According to their website, the non-profit organisation has 5 goals that informs it's actions. 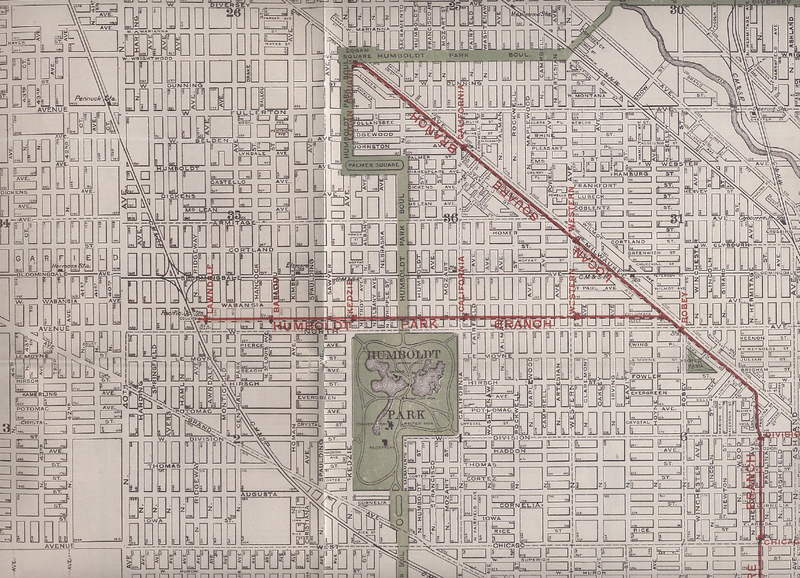 One of the most compelling characteristics of the Bloomingdale railroad is that it is above street level, and runs uninterrupted in that way for nearly 3 miles. It is one of the features that sets the project apart and makes it such a unique experience, affording you views of the city from a perspective that’s not easy to attain in a city built on the prarie. It also makes the future trail safer and faster, by avoiding street crossings. The Bloomingdale Trail will be an arterial of native plant life, public murals from local schoolchildren and artists, and urban landscaping. Taking care and stewardship of that space is a goal Friends of the Bloomingdale Trail has committed to already in the form of periodic clean-up and invasive species-pull days. The Bloomingdale Trail will be a linear park for walking, jogging, biking, strolling, and a greenspace for contemplation, observation, relaxation and recreation. It will be a commuter connector and refuge from daily urban life. Friends of the Bloomingdale Trail believes that a great park is measured by the people who’s lives it touches. Through community house parties, clean-up days, and community events like a coloring competition for local schoolchildren, FBT has strived to be the community’s introduction to and voice for the vision of the Trail. FBT has also brought local politicians together with community activists, architects, city planners, and private foundations. There are 12 schools near-by the Trail, and three are directly adjacent. The Trail will provide a safe route to school. Other community institutions along the Trail include the YMCA, churches, and community service organizations. The Trail will help link schools to after-school programs provided by these institutions. Friends of the Bloomingdale Trail has worked closely with these groups and continues to reach out and expand our connections with all the organizations in the community that could benefit from the Trail. 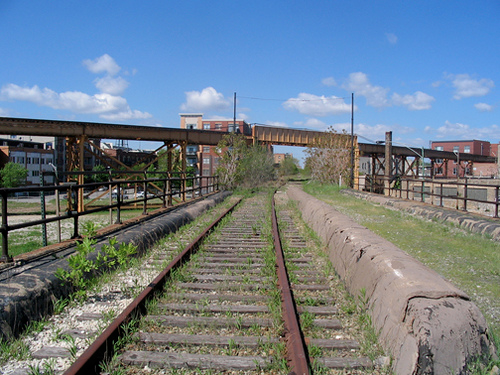 In a 2007 collaboration with the Chicago Architecture Club, Chicago Department of Planning, Friends of the Bloomingdale Trail, Chicago Park District, Chicago Architecture Foundation, Graham Foundation and the Trust for Public Land , 4240's design director, Robert Benson and Gensler's design director Brian Vitale led a design team which crafted a proposal for the development of 2.7 miles of an abandoned elevated rail line into more than just a greenspace offering a pedestrian trail. The team proposed the transformation of the abandoned rail line into a multifunctional greenhouse. At three miles long, the greenhouse would be a visual marker at both day and night, and symbol of hope for the City. It would have the equivalent of 10 acres of land to farm year round, enough food to supplement the Greater Food Depository of Chicago's resources to feed those in need. 40 percent of the crop would be sold at markets throughout the line's diverse neighborhoods. 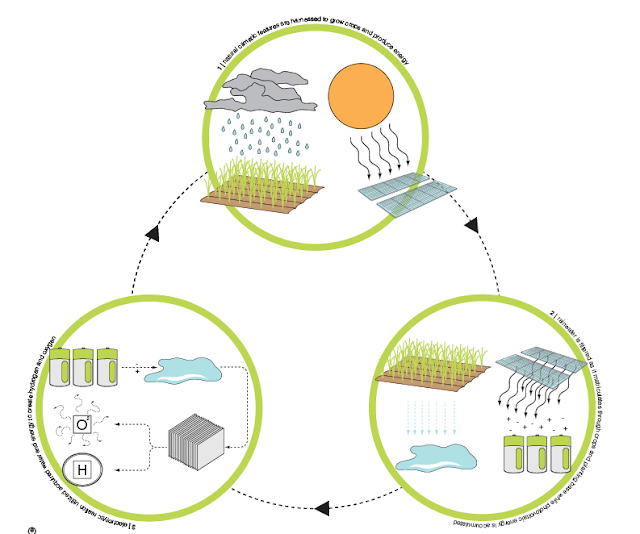 In the more fanciful aspect of the proposal, there is a hydrogen generator below the greenhouse that uses the nano-photovoltaic curtain to create the electricity needed to split the water (H2O) molecules into pure Hydrogen and Oxygen. Unfortunately current technology predicates that vast amounts of electricity are actually needed for this process. While the Hydrogen is stored in tanks, the Oxygen is released into the atmosphere. 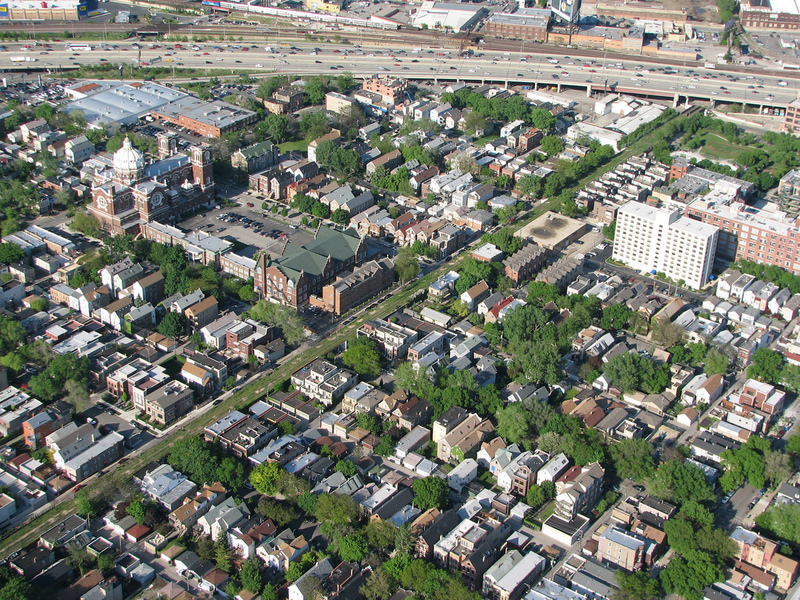 The hydrogen will then be used through fuel-cell technology to power nearby Chicago Public Schools which currently suffer from an acute funding crisis. The excess Hydrogen will be sold to alternative fuel vehicles at depots throughout the line. The waste of these vehicles is water, which can be stored in the vehicles and returned to the Bloomingdale's system to feed the production of Hydrogen and thus continue the loop. The Hydrogenerator system stands as a symbol for a new future, a new paradigm that involves examining abandoned and underused infrastructure for new energy bearing technologies. The more local, the more clean the energy, the more stable and healthy the society.